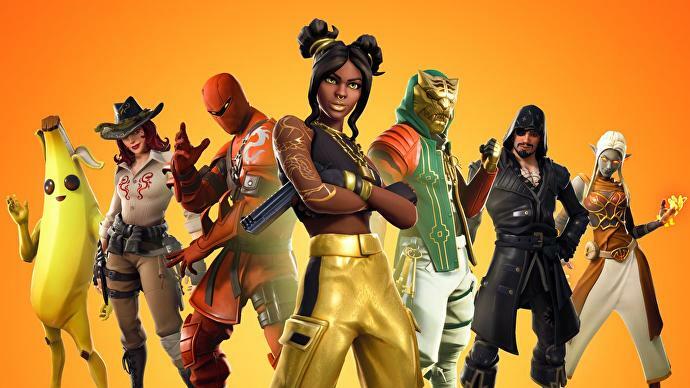 The world of Fortnite is now filled with various character skins to bring plenty of personality to the battle royale action. The Carbon Commando Skin is one such cosmetic that players will likely want to get their hands on. Here’s everything you need to know on how to get the Carbon Commando Skin in Fortnite, including screenshots of what it looks like, and whether you can get it on all platforms. Before we dive into how to get the Carbon Commando Skin, we thought we’d show off just what it looks like for all of you who are interested. This skin has a completely covered face, and reps some carbon fiber-looking armor over a blue and grey outfit. It also comes with a rare Carbon Pack back bling, which we’ve also included an image of down below. The Carbon Commando Skin is an exclusive PlayStation Plus cosmetic pack that subscribers can download from the PlayStation Store. We’ve broken down the steps you’ll need to follow to get it down below. Use the ‘Search’ option at the top of the screen. Enter ‘Fortnite PlayStation’ into the search. 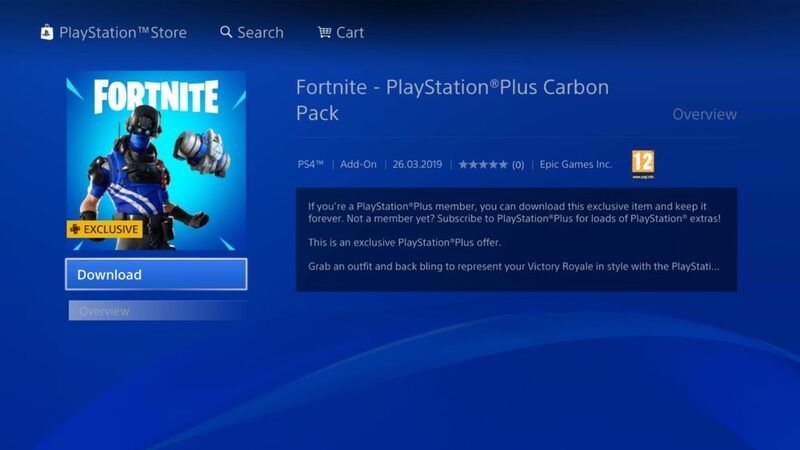 You should see ‘Fortnite – PlayStation Plus Carbon Pack’ appear. Select and download this, then load up Fortnite. Once you’ve loaded up Fortnite, and as long as you’re a PlayStation Plus subscriber, you should receive a little pop-up notification upon entering either the Battle Royale or Creative modes in-game alerting you of your new cosmetics. Can You Get Carbon Commando Skin on PC, Xbox One, Switch or Mobile? Okay, so this is a bit of a yes and no answer. With the Carbon Pack itself being a PlayStation Plus exclusive, you’ll need to log in with your Fortnite account on a PS4 and redeem this DLC from the PlayStation Store. Once you’ve done this, however, you’ll then have those cosmetics in Fortnite regardless of what platform you choose to play on. As such, we recommend trying to head to a friend or family member’s house who has a PS4 that you can quickly use to log in and nab these goodies on your own account. Alternatively, if you’ve got a PS4 yourself, simply log in with your account details and nab the goodies before returning to your preferred platform. That’s all you need to know on how to get the Carbon Commando Skin in Fortnite. For more tips, tricks, and guides, be sure to check out our ever-expanding Fortnite Season 8 guide wiki.